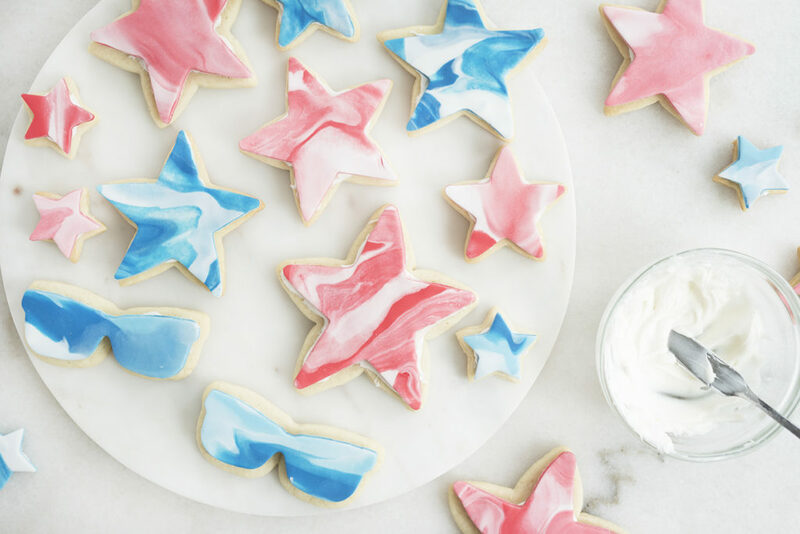 25 May Red, White, and Blue Fondant Sugar Cookies! 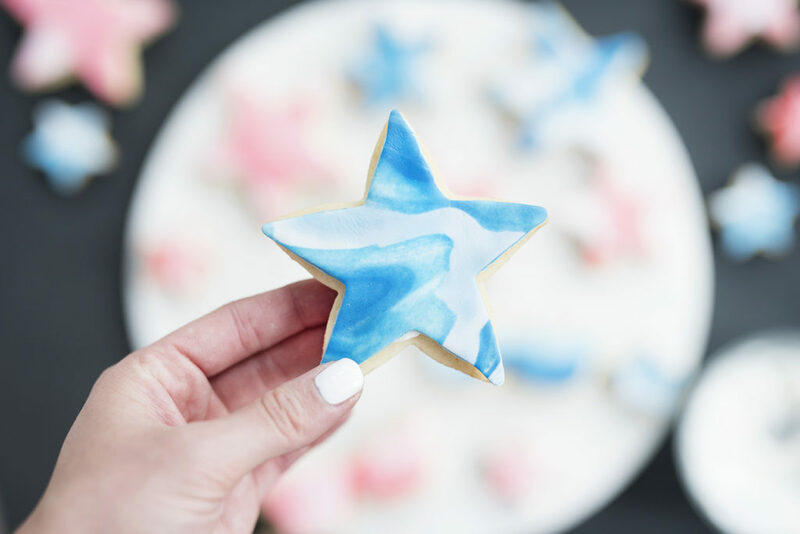 Memorial Day weekend is just around the corner and I wanted to put together a fun baking project that is both easy breezy and festive! Most of the time I like to bake from scratch because it allows me to tweak certain ingredients to my liking however, for this particular post I wanted to make things as simple as possible. With that said, most of the ingredients I used were pre-made or from a box mix but you can swap out any of the components for your favorite recipe. I decided to go with a “marble” look for the fondant because I am absolutely loving the whole marble trend. 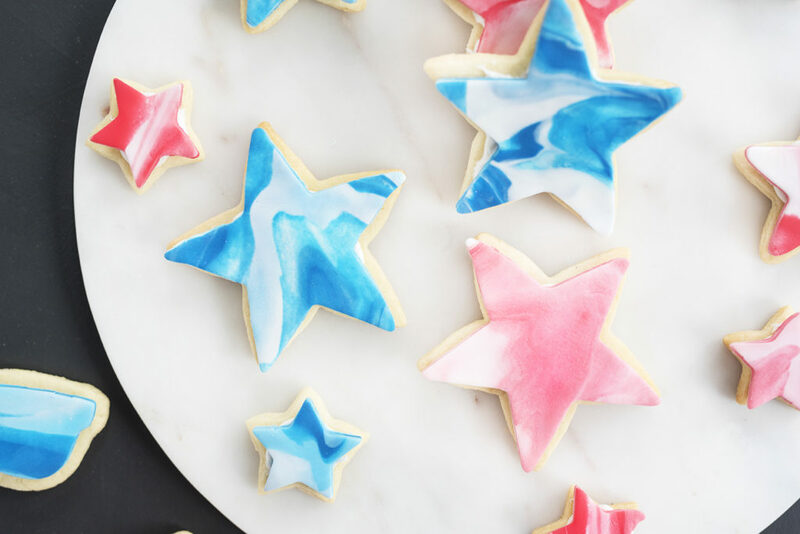 I love how vibrant the cookies are with the red and blue fondant colors. This is also a kid friendly project so if you have little ones at home, this is something easy that they can help with! 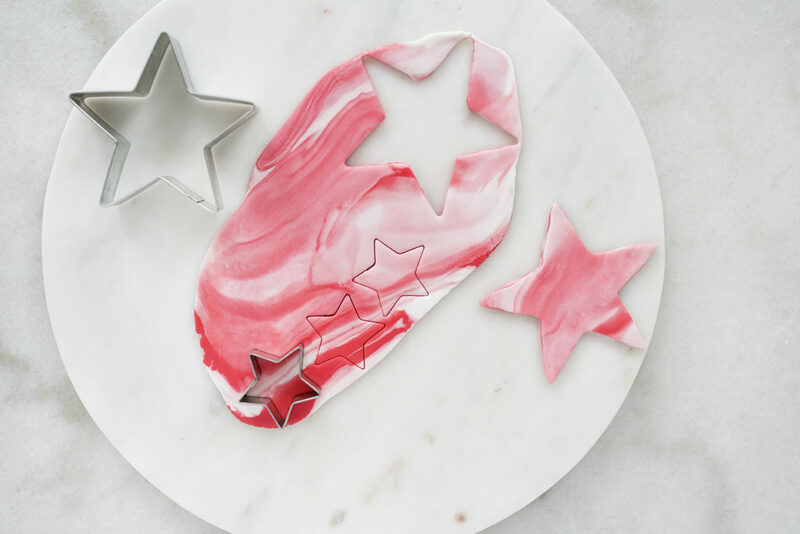 I’ve provided a few photos below to show you how to create the marble look with fondant. I’ve made fondant from scratch several times in the past but recently figured out that it is SO much easier to buy ready made fondant. 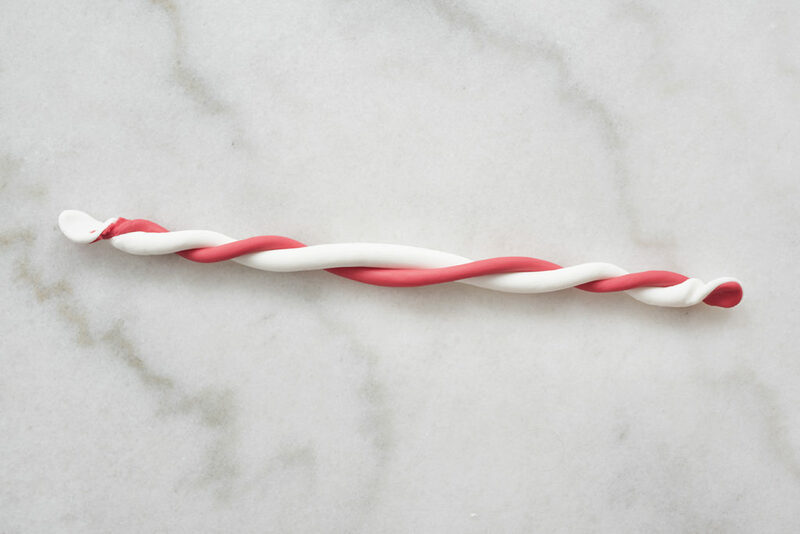 You get the right consistency and it still just as delicious. When I’m working with colored fondant, I also like to purchase pre-colored fondant so I don’t have to deal with the mess of food coloring! I picked up this fondant at the NY Cake and Baking store and the brand is called Fat Daddio’s. When I’m working with the fondant, I like to work in small batches. 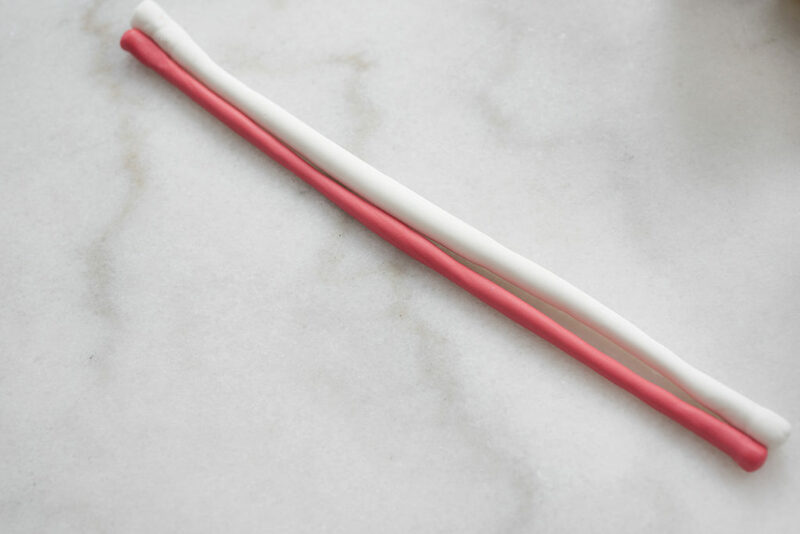 For the color mixing, you should use two parts white fondant to one part colored. 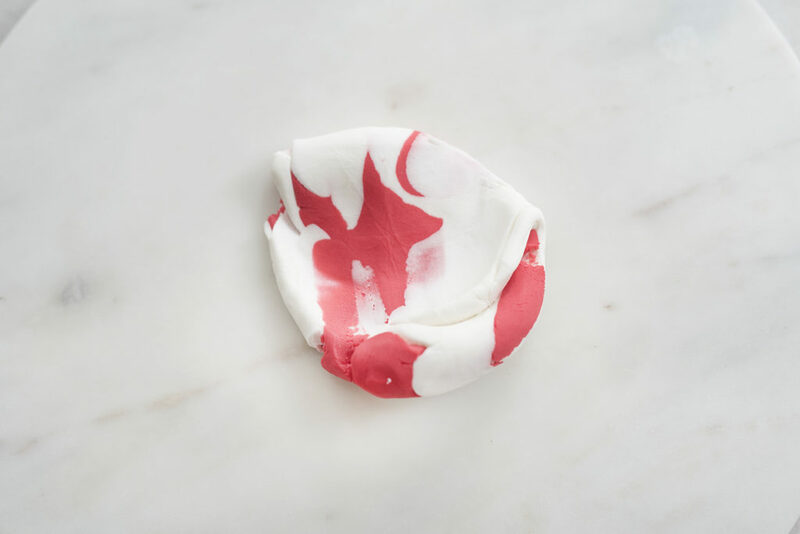 So for example, if you are working on the red marble fondant, I would use approx. 60 grams or white fondant to 30 grams of red. 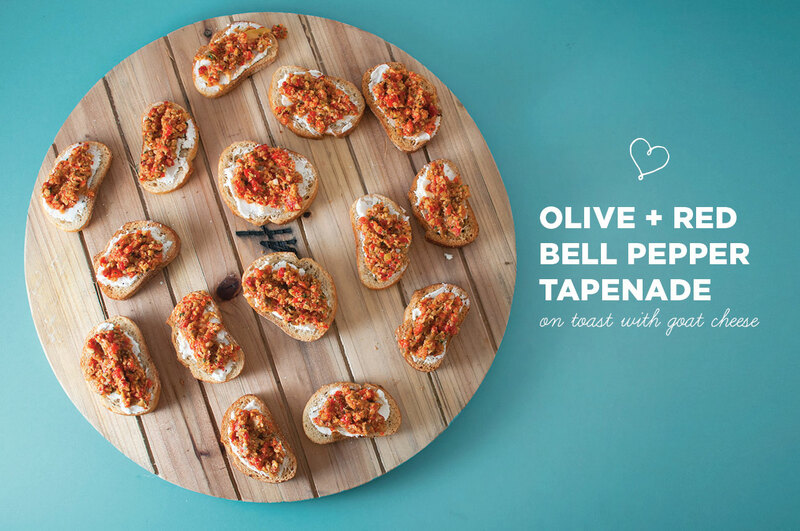 At the end of the post, you will find a full list of ingredients and assembly steps. 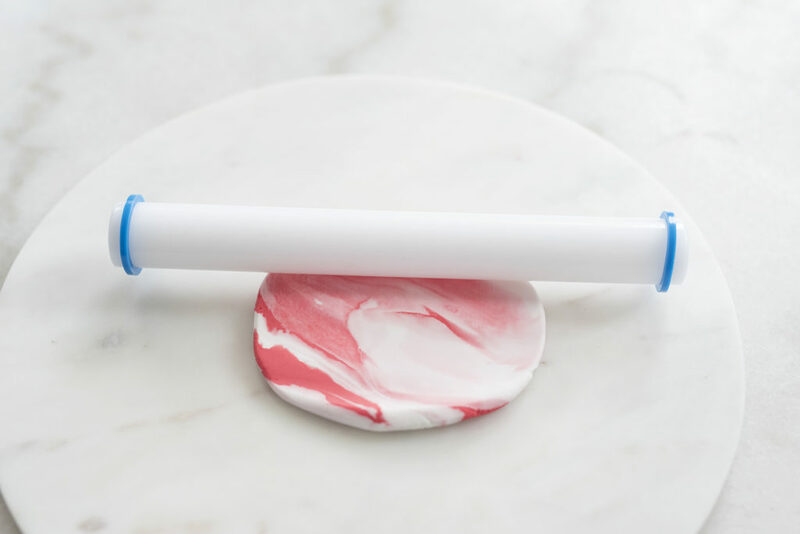 Before we get to that, I want to show you how to prep your fondant to get the marbleized look. If you have any trouble finding the right ingredients or you’re having any trouble with the steps, write to me and I’ll do my best to help! Step 1. 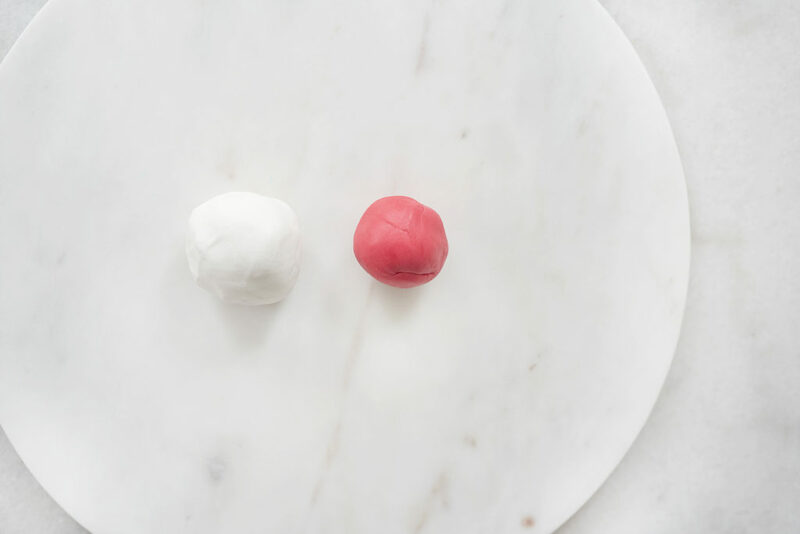 Roll your white fondant and colored fondant into separate balls. Below I am working on the red marble fondant. I have 60 grams white and 30 grams of red. Step 2. Roll each ball into a long rope. You want both ropes to be close in length. 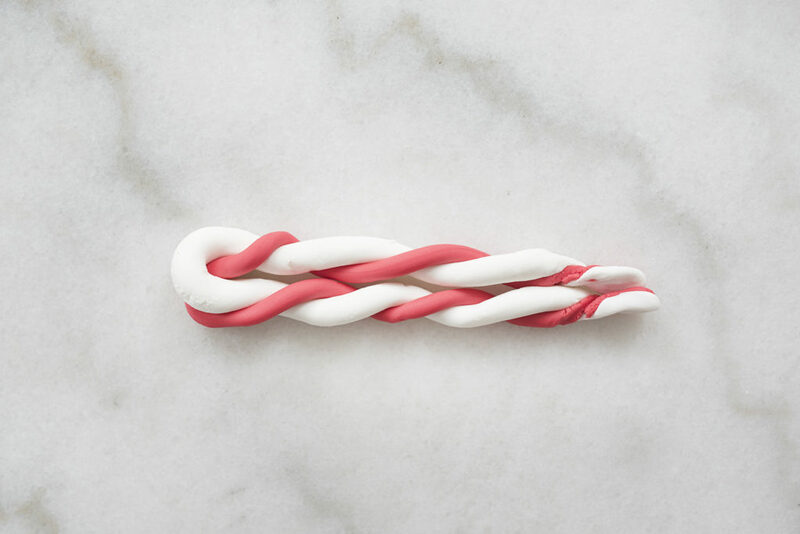 Then secure the ends together by pinching with your fingers and twist the colors together. Step 3. Fold the twisted rope in half and then gather it into a ball. Knead the ball a few times to mix the colors together. Step 4. 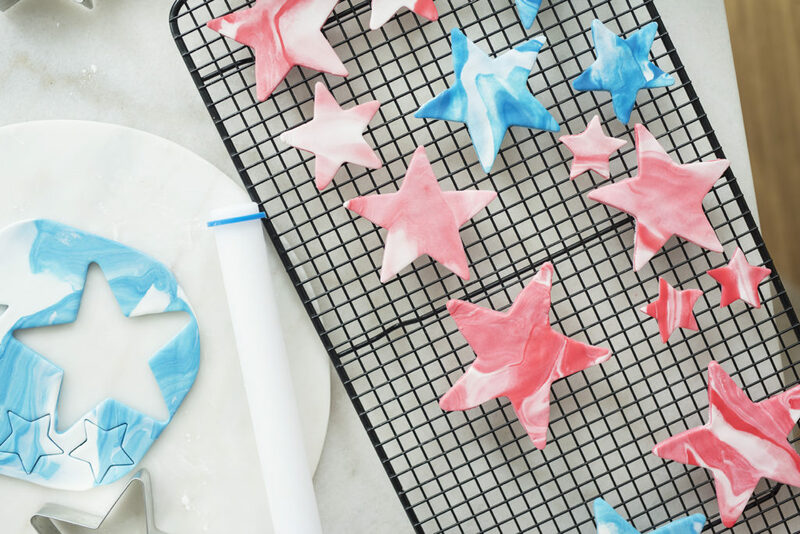 Roll out your fondant and cut out your shapes! 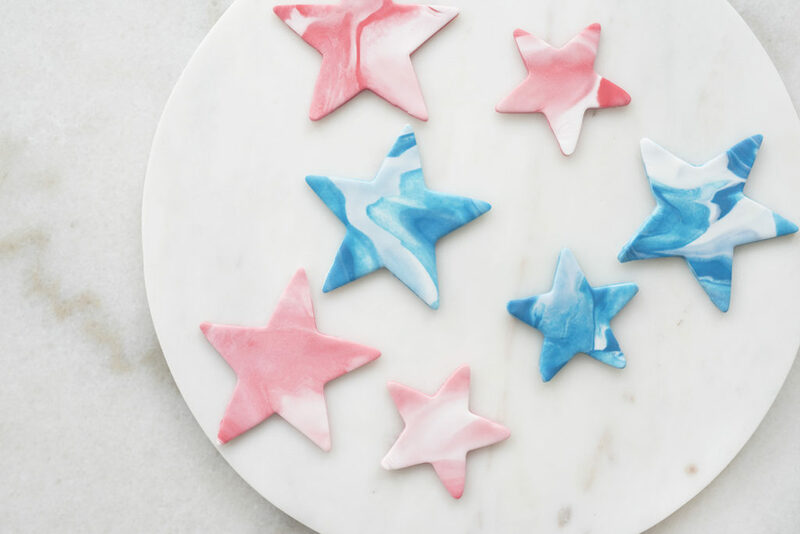 And that’s it, these fondant pieces are ready for your cookies! If you want, you could also make this a day ahead and just pop them onto the cookies when you are ready. Scroll to the bottom of this post for full assembly instructions. Do you have any fun MDW projects planned? Remove sugar cookie dough from packaging and place into a large bowl. Add 1/2 cup flour to the large bowl and mix the dough and flour together with your hands until it is completely combined. Place dough onto a clean work surface and roll to about 1/4" thickness. 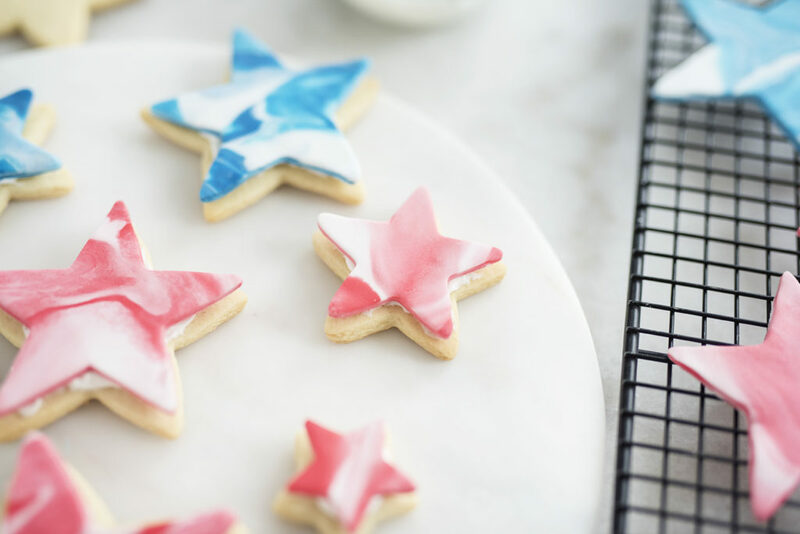 Use your cookie cutters to cut out desired shapes. 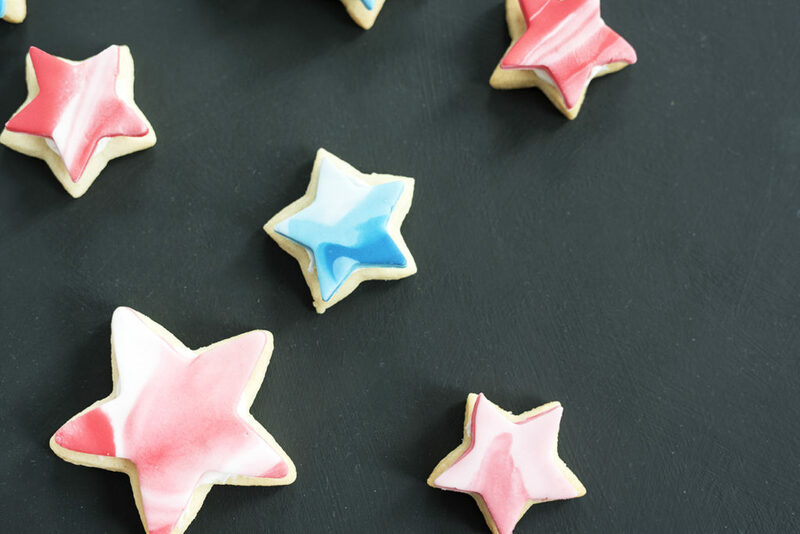 Place cookies on a non stick baking sheet. 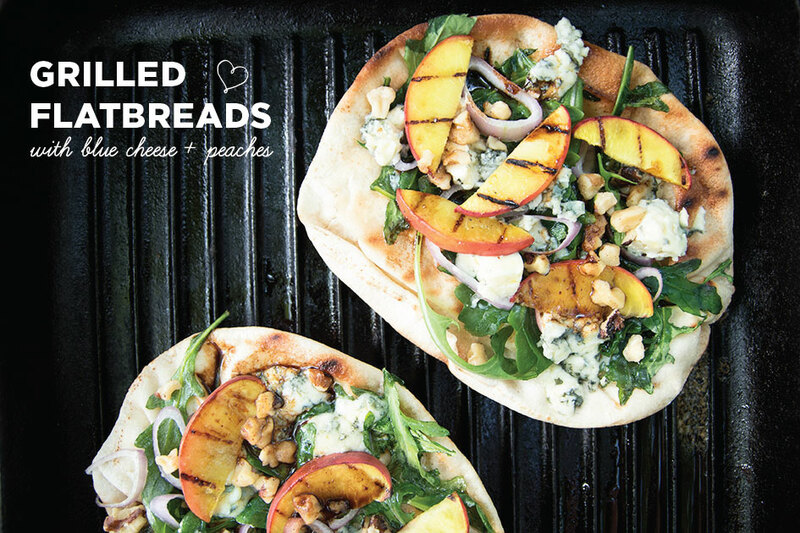 Place baking sheet in the oven and bake for 7-9 minutes or until the edges start to turn a golden brown. Prepare marble fondant according to the instructions in the photos above. 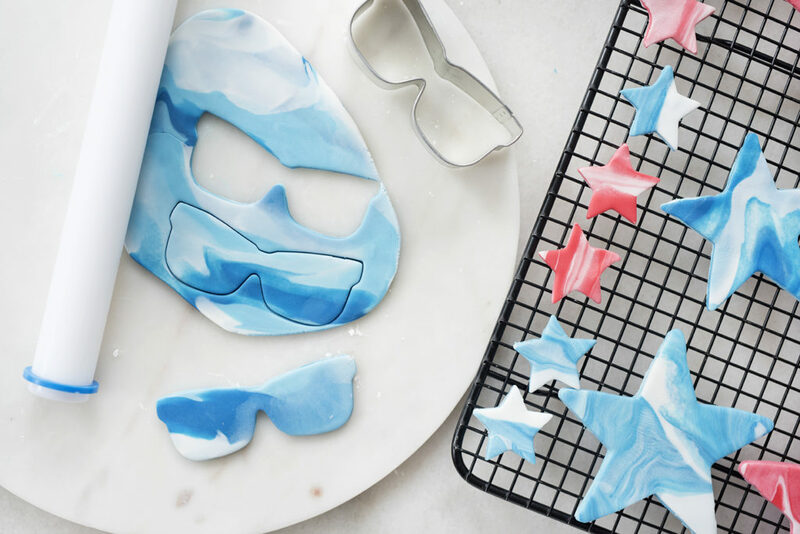 When you cut your fondant into shapes, make sure you cut the same size and number of pieces as the cookies that you've just baked! 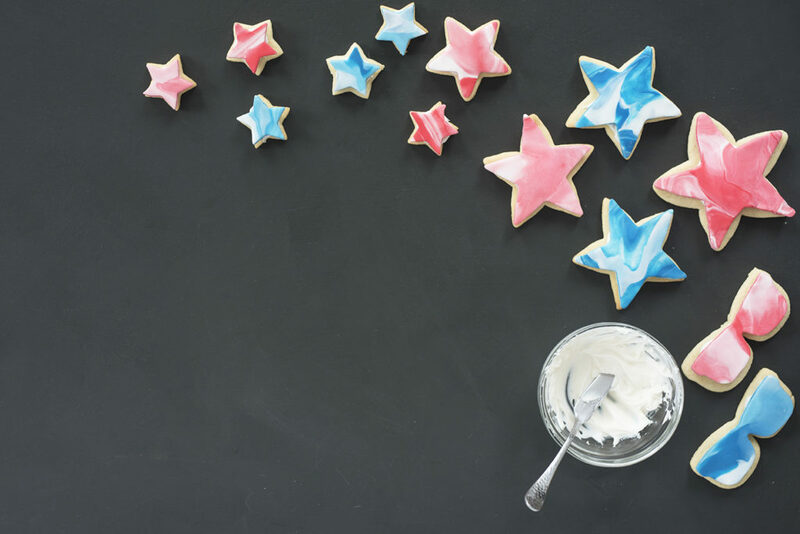 Spread a small amount of frosting on the tops of the sugar cookies. Place the fondant piece on top of the frosting and press lightly to stick.